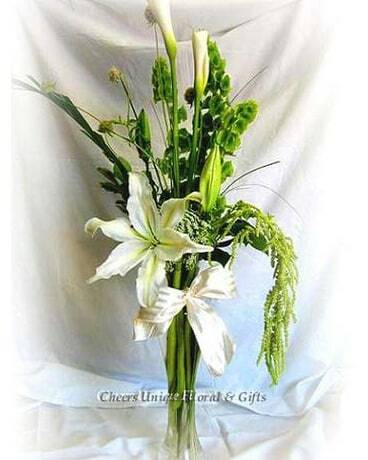 Tall arrangement in white and green. Flowers include casablanca, calla lilies, bells of Ireland and hanging amaranthus. Flowers or container may vary and subject to change due to availability. Local purchase only.